Specialty: International telecommunications manufacturing & Systems. 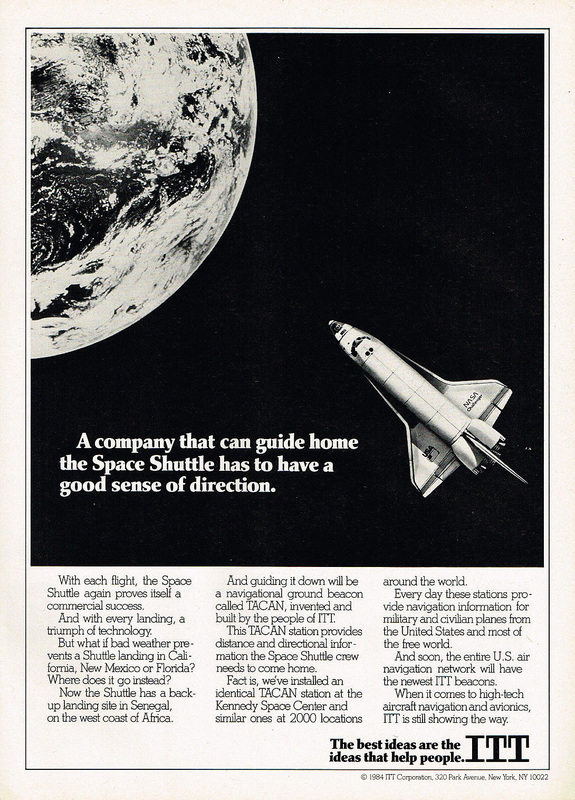 Defense Contractor. 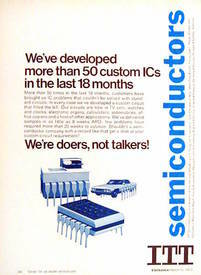 ITT's Semiconductor division designed and manufactured Integrated Circuits for consumer audio, video and text, television, telephone, as well as for Automotive products and industrial controllers. 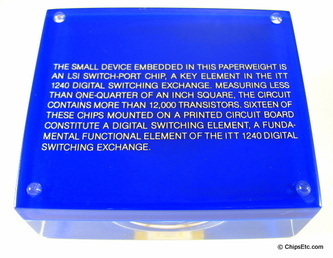 Lucite paperweight from ITT Semiconductors division commemorating their first day of transistor production at their Cascais Portugal manufacturing facility on May 16th, 1967. 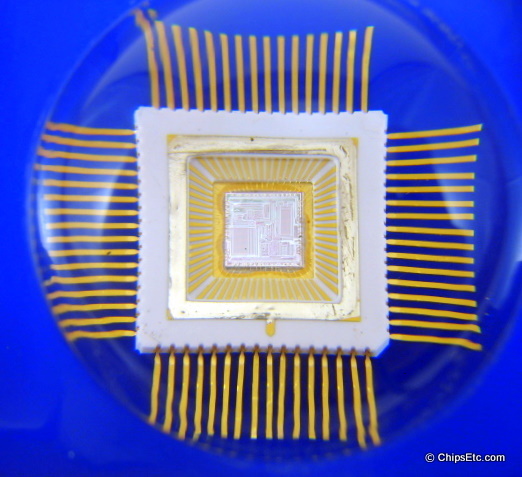 Starting in 1964, ITT assembled their metal can transistors at their new West Palm Beach, Florida semiconductor manufacturing facility. 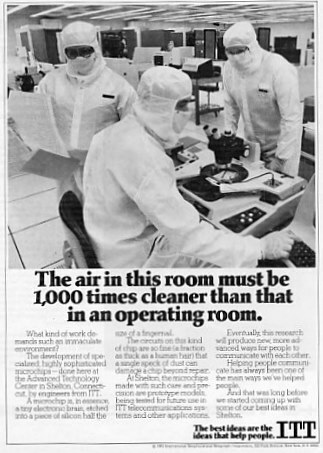 The 100,000 sq.ft Cascis manufacturing facility, opened in 1967, was ITT's first plant to be located overseas. 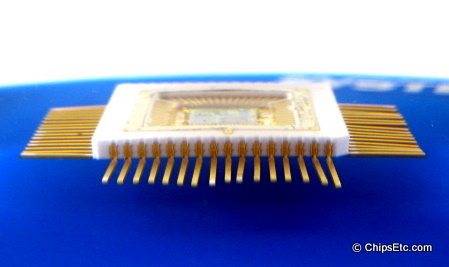 ​ITT would further expand it's low-cost overseas semiconductor manufacturing to include facilities in Taiwan, South Korea, Hong Kong, and the Philippines. ITT's System 12 (formerly known as ITT-1240) Electronic Switching System ( ESS) was a new generation of digital switching equipment designed by ITT to fulfill the needs of a future Integrated Services Network concept that was know as Network 2000. Four models were designed: ITT 1210, 1220, 1230 & 1240. 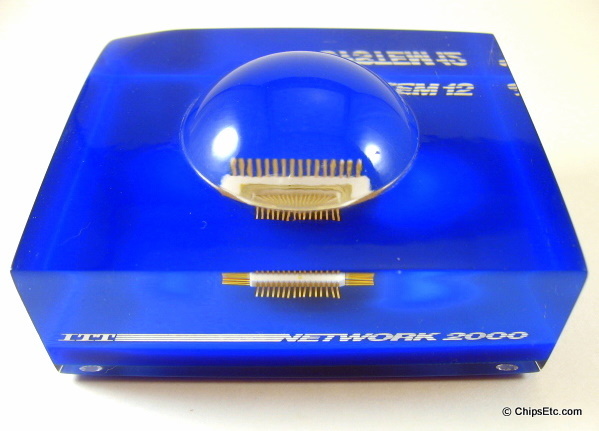 The design work for the system 12 was done at the ITT Advanced Technology Center in Shelton, Connecticut, manufacturing was done by ITT subsidiaries such as the Bell Telephone Manufacturing (BTM) company. 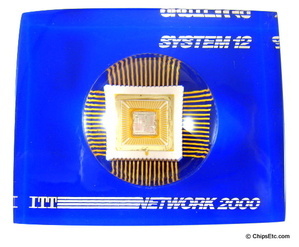 ITT produced the 1240 digital exchange for voice and data. 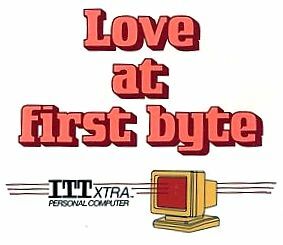 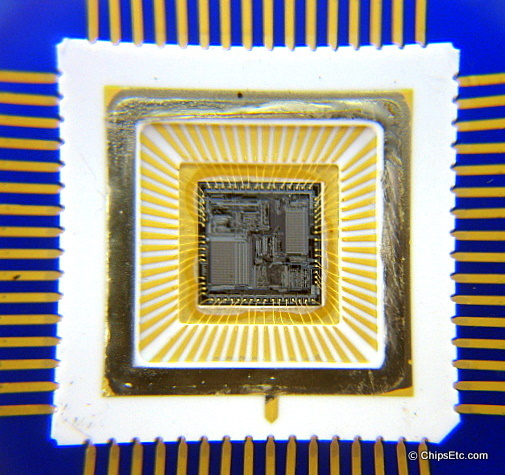 LSI and commercially available microprocessors were used for line and trunk interface units that were Microprocessor controlled. "The small device embedded in this paperweight is an LSI Switch-Port chip, a key element in the ITT 1240 Digital Switching Exchange. 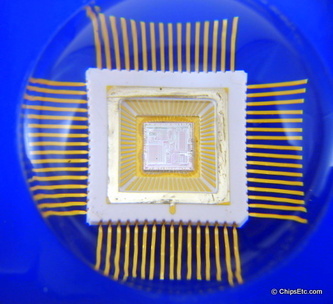 Measuring less than one-quarter af an inch square, the circuit contains more than 12,000 transistors. 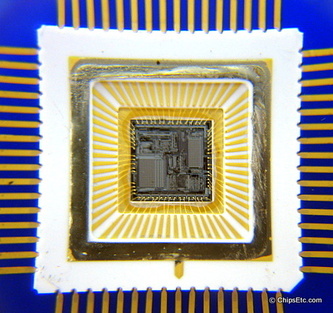 16 of these chips mounted on a printed circuit board constitute a Digital Switching Element, a fundamental functional element of the ITT 1240 Digital Switching Exchange." 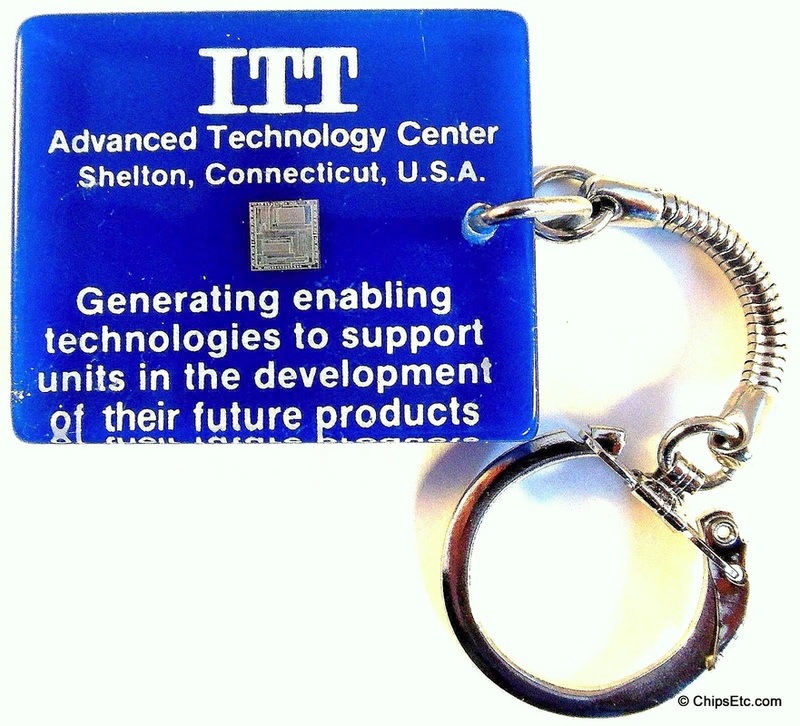 ​Lucite keychain from ITT featuring one of their Digital Switching Exchange chips.